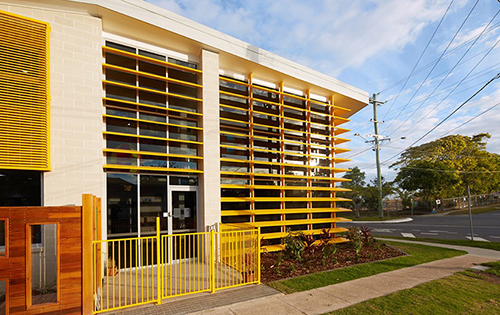 New Zealand-based architecture firm Context have harnessed a childlike sense of curiosity and combined it with thoughtful intent in designing this new flagship Mother Duck Childcare centre housing up to 130 children in Brisbane. Key to Mother Duck's philosophy is in providing a nurturing "home-like" environment that is aesthetically pleasing. 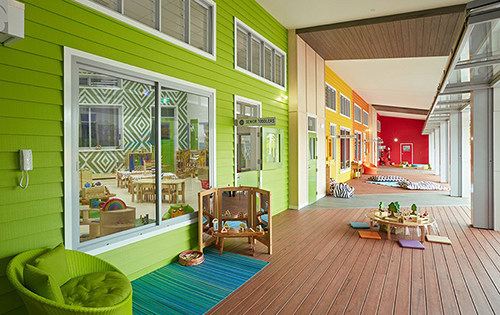 Also that the environment caters for the child's curiosity, uniqueness and ability to learn through play. 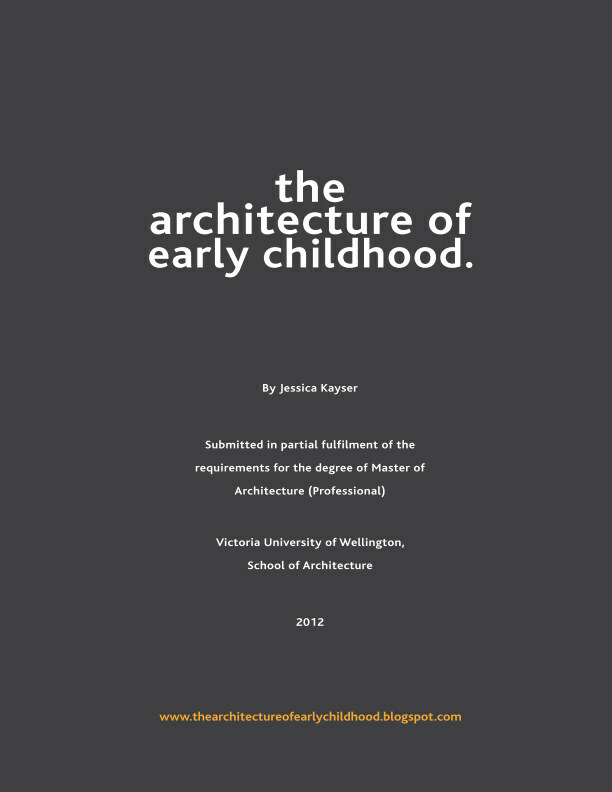 To see their philosophy realised, the architects worked closely with the early childhood educators: "Context took our values and culture and translated them into an 'Aussie backyard' design concept. 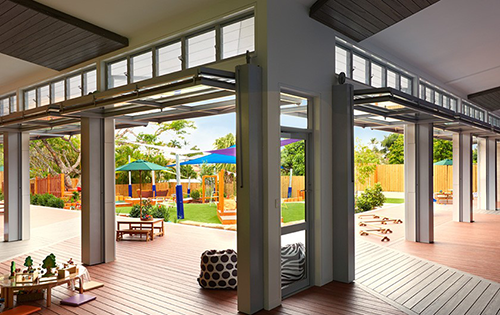 An extension of the home where the learning spaces extend from the lounge onto the covered deck and into the backyard." Light and transparent within, the centre is shielded from the street and wrapped around the perimeter of the site maximising space, whilst ensuring visual protection and security. Inside spaces are constructed from enduring and familiar materials including weatherboards, board and batten sash windows, providing a home-like atmosphere of belonging. 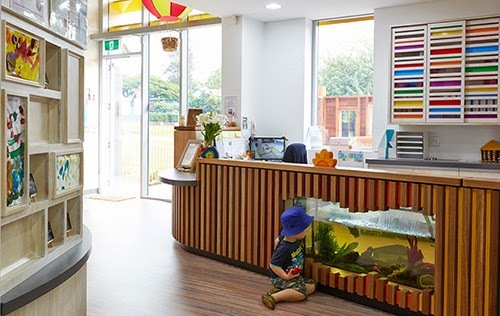 Attention is paid to the child's experience upon first walking into the centre, the entrance featuring a vibrant entrance way and fish-tank reception area. 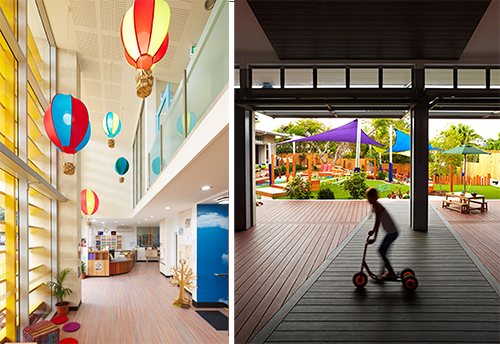 Seven individually themed 'homes' adapt to children's changing activities and needs throughout the day. 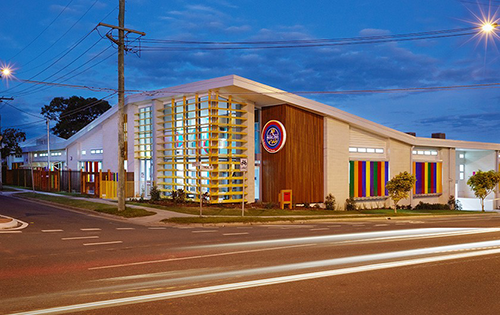 The 'homes' opening onto 'Rainbow Street' - a flexible covered indoor-outdoor play space, and which acts as a permeable boundary between outside and in. Again, child-oriented details are included, with letterboxes, street lamps and louvres that the children can operate themselves. 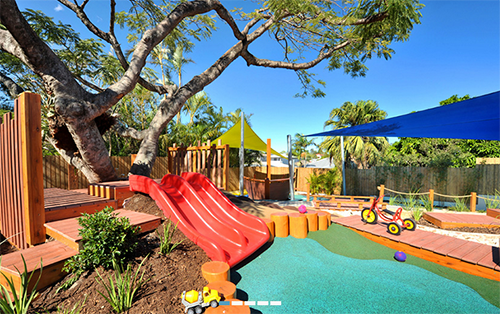 Outside the centre's design reflects it's philosophy of the curious child - providing a wonderful magical landscape ready for exploration, including a water park. 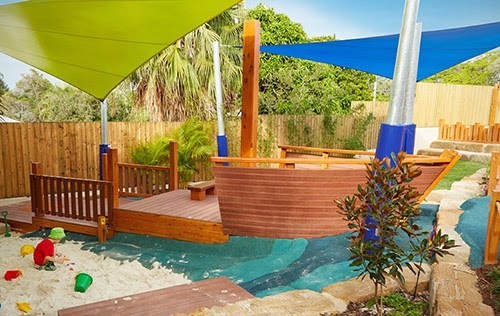 Play structures - ramps, walkways, sandpits, a pool and a slide are combined with natural plantings - offering a dynamic and exciting place to play loudly or quietly, depending on the mood of the child. 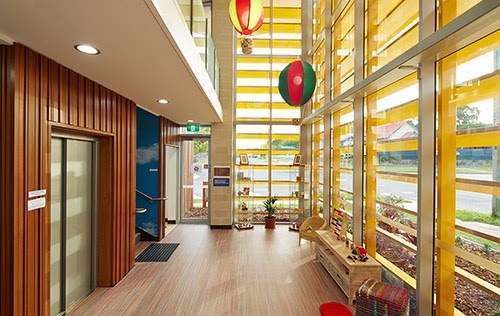 The centre shows that through careful consideration of materials, site placement/orientation, colours and child-centred interactive details - a place that is both homely and fun is born.